Some people are wizards when it comes to packing. They just seem to know exactly the kind of boxes to use, how to pack them and where to place each item. Moving companies who are doing your packing for you are normally wise to the system. But if you are doing the packing yourself there are some basics you need to know and Urban Self Storage is happy to remind you how to make life easier for yourself. 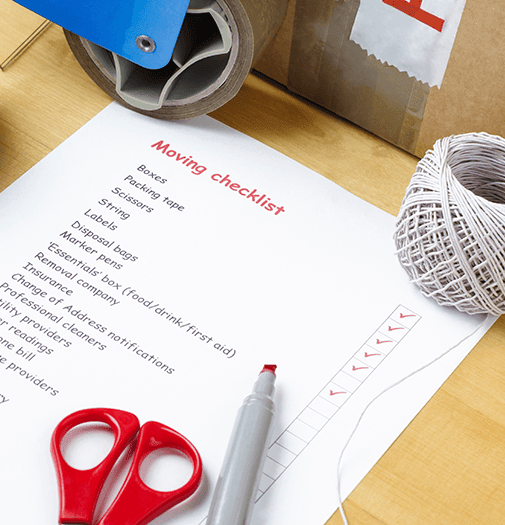 It is immensely smart to make a list of the items you plan to pack for storage. Divide them up according to their size and safety factors. Make note of the particularly fragile items. The idea is to fill your boxes as much as you can so weight will be evenly distributed when stacking boxes in your new self storage unit. Half-filled boxes tend to buckle under the weight of completely filled boxes. Also remember that heavy items like tools and books need to go in smaller boxes. Now you need to go about finding enough boxes of the proper size to accommodate your items to be stored. You will want sturdy, corrugated cartons, packing paper, bubble wrap, sealing tape and marker pens, along with any furniture covers or shelving you intend to use in your storage unit. As you are packing your boxes, make note of what is in each box, both on a separate piece of paper and by writing on the outside of the box. It might also help to number the boxes going into storage so you can find items with much greater ease. This will make items much easier to find in your self storage unit and also give you a better idea as to the overall worth of the items you are storing. Hang clothes or draperies in wardrobe boxes…the difference in protecting those items is far greater than stacking them flat in boxes. Lamps and lampshades should be packed in separate boxes and make sure they have plenty of padding. Mirrors and paintings are especially fragile and also sensitive to being broken so pad them with lots of paper and/or blankets. Finally, clean all appliances and make sure any moving parts are covered with paper and wedged so as not to move around. While appliances are being moved make sure they are taped shut. Pick up some blue painters tape from your local hardware store as it is durable and doesn’t leave behind sticky residue. So there you go! You now are deserving of Packing Wizard status. And if you need a refresher course, just ask your Urban Self Storage professional for tips. You know what it is like to keep a beautiful home – a clean house and nicely placed items can make all the difference. Avoiding clutter may top your list. Self storage is a great way to free up space at your home. It also helps when you are downsizing and making sure that your belongings are stored away using the appropriate process and the perfect packing materials. Urban Self Storage prides itself on providing the perfect sized-unit for your needs. Now all you need to know is how to fill that self storage unit. If you are a parent, you are all too well aware of dealing with clothing and toys strewn around a room. Finding specific items can be the ultimate challenge. The same problem exists for people trying to find items in a self storage unit if everything is packed willy-nilly with no sense of order. With that in mind, unless your unit is small, you will want to establish a center aisle with items on either side. Common sense and state laws determine what may be stored in a self storage unit. You alone control access to your storage space; therefore, never store live animals, perishables, liquids, explosives, flammable liquids and fuels, toxic materials, or other items that need a controlled environment. Are you storing a vacuum cleaner? Remember to empty out any food you may have vacuumed up. How about scented candles? Put them in a Rubbermaid container. Gas should be removed from lawn mowers before they go into storage, too. Are you storing photos? Climate controlled facilities will help protect them against moisture and humidity. Also remember to keep them as flat as possible so they don’t curl – place them between two pieces of cardboard and tape the pieces together. Climate control also is a great idea when it comes to storing clothing, and if you are storing clothing, it will help the cause to use a wardrobe box. Did you number and write on the outside of each box what is on the inside? Did you create a list on a separate piece of paper? If so, using that middle aisle to get to well-marked boxes will make it immensely easier to find what you are looking for. Likewise, it will help to store items you’ll most need to find at the front of your self storage unit. You may want to consider stacking items on pallets to get them off the floor and provide easier access. Also, when stacking boxes, places the larger, heavier boxes on the bottom and lighter boxes as you move up. Try to fit your boxes and items as tightly as possible to allow yourself more free space. When it comes to furniture, you should use protective covers and treat wood before storing, while also removing legs and storing tables and sofas on end to save space. Trash cans are great for storing shovels, hoes and rakes in self storage units. OK, so your unit is filled nicely with room to find whatever you need. What’s left? A top-notch lock is what you need and your Urban Self Storage pro can help you find the perfect one to help you feel even more protected and proud of the job you just did storing your belongings.